Way back in 1982, right smack in the heart of the slasher craze, the TV show SQUARE PEGS did a Halloween episode inspired by the then current furor entitled HALLOWEEN XII. It would behoove you to watch this classic episode below and then go ahead and order the entire series HERE. Thanks for posting this! 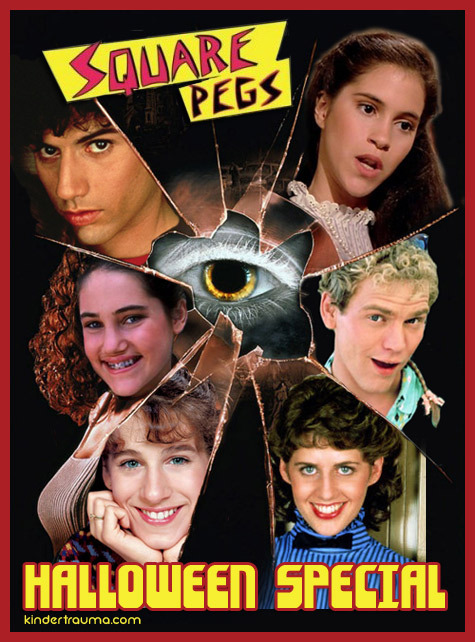 I always thought Square Pegs was underrated, and was a great precursor to Freaks & Geeks and the Jon Hughes movies. The Bill Murray episode is one of the funniest things you’ll see on TV.